Marriage, Families & Spirituality is an international refereed journal dedicated to promoting theological and cross-disciplinary reflection on marriage and related topics. Edited by the International Academy for Marital Spirituality (INTAMS) since 1995, Marriage, Families & Spirituality offers scholars a platform to explore areas of current theological interest and to enter into an international and interdisciplinary dialogue on a variety of topics. Appealing to a wide academic and professional community interested in marriage and family-related issues, research, and debate, Marriage, Families & Spirituality documents the extent and the variety of innovative thinking in this field. Marriage, Families & Spirituality is abstracted and indexed in Index Theologicus; Elenchus Bibliographicus (Ephemerides Theologicae Lovanienses); Canon Law Abstracts; CrossRef. 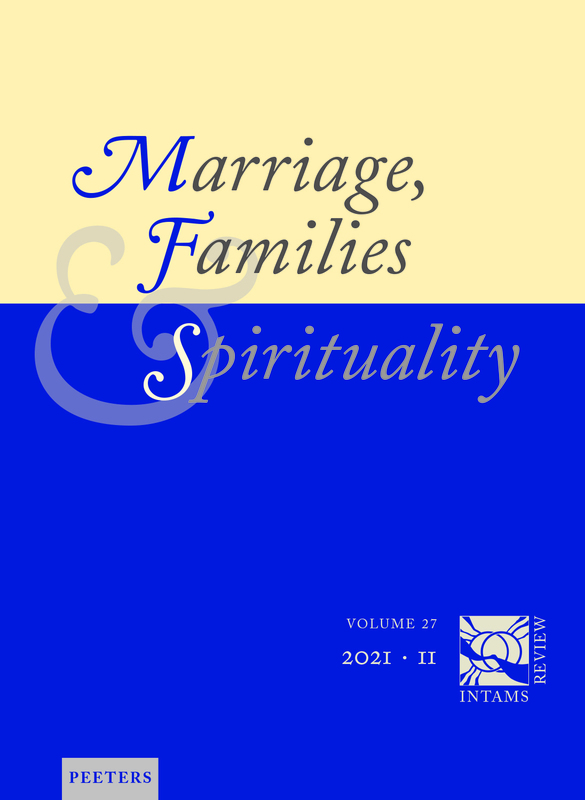 Marriage, Familiy & Spirituality is a peer-reviewed journal.